A recent report in HINDU states that the state government has recently passed a government order stating that that practitioners of AYUSH (Ayurveda, Yoga, Unani, Siddha, and Homeopathy) appointed in Primary Health Centres (PHCs) in rural areas of Karnataka can practice allopathy “during emergencies”. 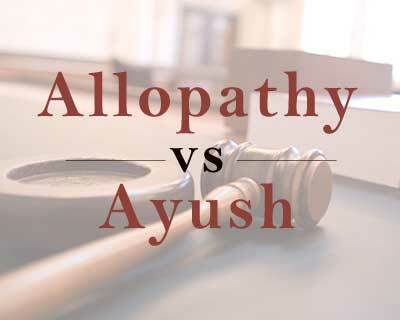 The move comes after an Interdepartmental committee set up by the state health department and headed by the State drug controller to study the feasibility of AYUSH doctors practicing allopathy gave a positive report on the move. It is reported that this positive note came despite objections raised by the Karnataka Medical Council and Indian Medical Association who opposed the move. AYUSH practitioners in PHCs should undergo a six-month crash course under senior doctors in district hospitals. The move has met with strong opposition from the practitioners of Modern Medicine in the state, who have equated the policy with the promotion of quackery. Karnataka Medical Council has also written to the government seeking postponement of the said order. “Allowing integrated practise will result in increased number of medical negligence cases. It is unfortunate that our views have not been considered,” a KMC member told the daily. Government officials on the other hand upheld the decision calling it essential in the face of severe shortage of doctors in the rural areas. “We already have nearly 800 AYUSH practitioners recruited against the posts of General Duty Medical Officers,” a top official said. With the decision Karnataka in line with 13 other states including Maharashtra, Tamil Nadu, Gujarat, Punjab, Uttar Pradesh, Bihar, Assam, and Uttarakhand, where integrated practise is legal adds the daily. Good Decision to Fight against Disease…!! Why Mbbs dr are not understanding that they are the specialist while other stream dr would be only regarded as general dr.
MBBS are specialists….whereas other stream dr would be regarded as General. regarding to 6 months allopaathy medical practice for ayush doctors ,this moves a great service to poor down tradden peoples in neglected indians since past days.in our india multinational companies pharmaceuticals are bussiness tacticts by some socalled medical doctors. please give good & quality treatment needy peoples.